Review: Andrew Weatherall and Timothy J Fairplay's project of dubbed out disco and house spread itself comfortably across the Ruled By Passion, Destroyed By Lust LP on Rotters Golf Club mere months before, and now a rag tag collection of remixers has been drawn together to reinterpret most of the album. They've reached for like-minded souls, such as Ivan Smagghe, Phil Kieran, Richard Sen and Justin Robertson with the latter's Deadstock 33s remix of "Beglammered" filled with nervy industrial undertones. Elsewhere, Black Merlin do an especially captivating job of soundtracking "Skwatch" into a lurid 80s gore fest for the ears, while Scott Fraser whips up a hypnotic Italo inflected stomper, but really every one of these esteemed producers adds to the overall tone of vintage, motor-powered dance music for ghoulish souls. 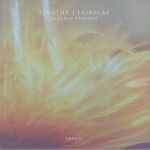 Review: While they may have landed a fair while ago, it's great to see Emotional Response revisit Timothy J Fairplay's crucial early EPs with an absolutely on point remix package. Scientific Dreamz Of U brings his distinctive signal chain to "Stories Of Prison", using grinding synths and some snaking broken beats to create an early 90s trance mood to die for. Alessandro Parisi keeps things on a distinctly new wave tip for "Aim For The Yellow Sector", and Perseus Traxx brings a bold set of machine beats and technicolour synths to "Saco Bay". Antenna finishes the EP off by creating a winsome, wavey version of "Night Ferry" for sensitive souls to do the robot to.